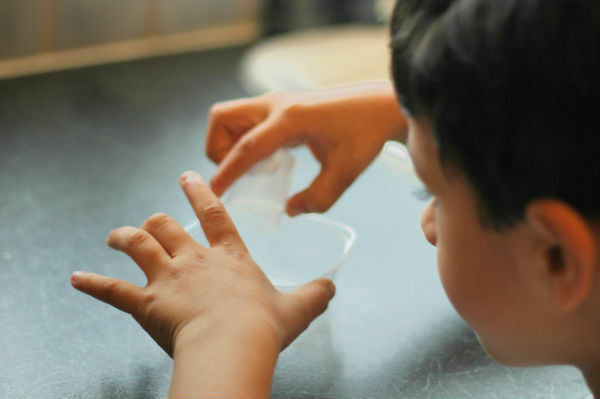 The boys love trying out simple science activities at home, so we loved the look of the themed Science4you science kits and used the Water Science kit to try out making pretend snow after school. 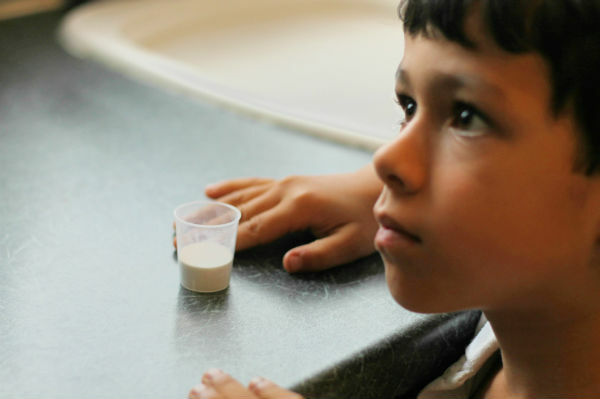 This experiment is pretty simple and has great results! The kit comes with everything you need for 27 experiments, and this is just one of them! You will notice the water absorbs and the Sodium Polyacrylate becomes much bigger! Your artificial snow is ready! It does not take long at all to make, and is pretty easy. Mr Z made it himself (age 6) with supervision. We transferred the artificial snow into a bigger container to make it easier to play with. You could increase the quantities and make more of this to fill a sensory bin. 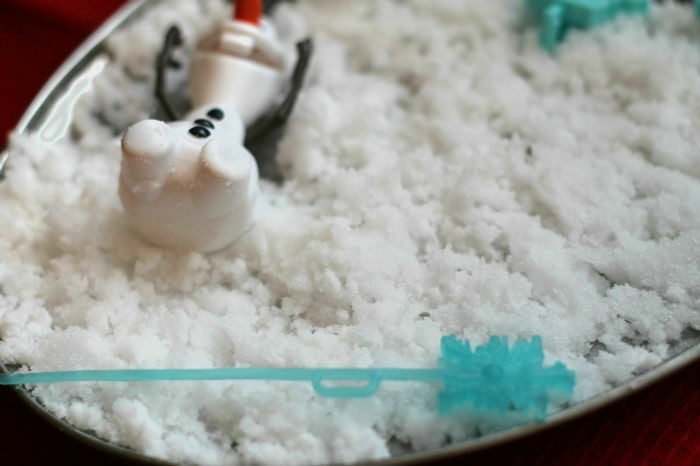 This artificial snow is perfect for a winter or Frozen themed sensory bin! The feel of the snow is quite squishy and fluffy, its not cold but we may try freezing it or placing it into the fridge and then see what happens, to experiment a little further! It is a great texture to explore and does really have that crisp snowy look to it. Why does this experiment work? Sodium polyacrylate is a polymer with with the ability to absorb 200-300 times its mass in water, through the osmosis process. 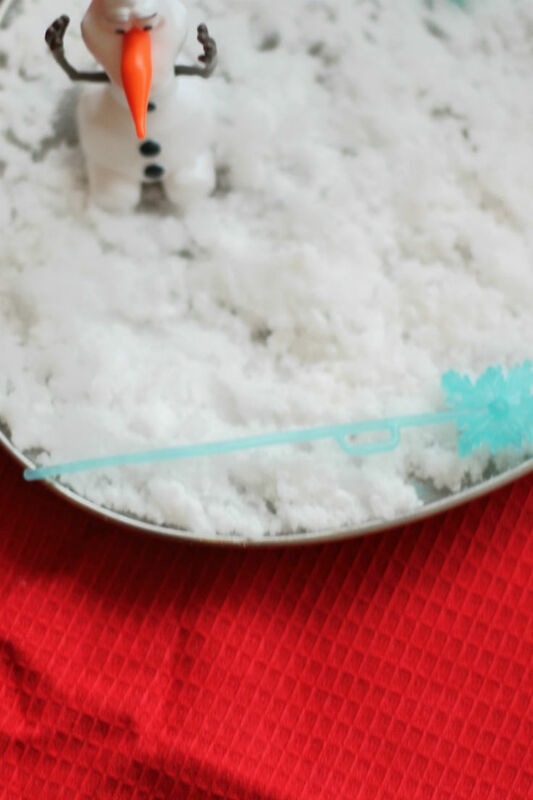 When it’s hydrated it takes on the look of snowflakes which is why its so perfect for this activity! The is the same material that is used inside disposable nappies because of its absorbant properties. You will also notice a lot of similarities to the way that water beads work, but the texture is totally different. 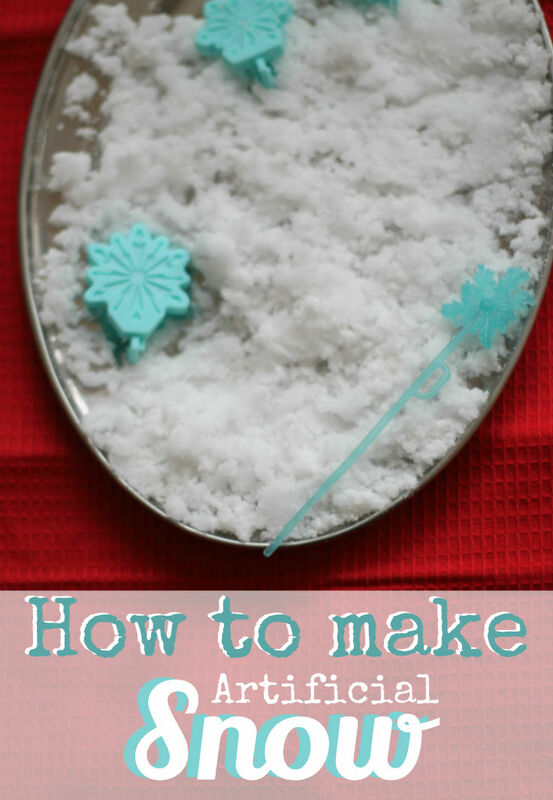 You can add food colouring to make coloured snow. As suggested in the Science4you book I added blue food colouring, I think I unfortunately added way too much though! I should have paid attention to where they mentioned add “a little bit”! 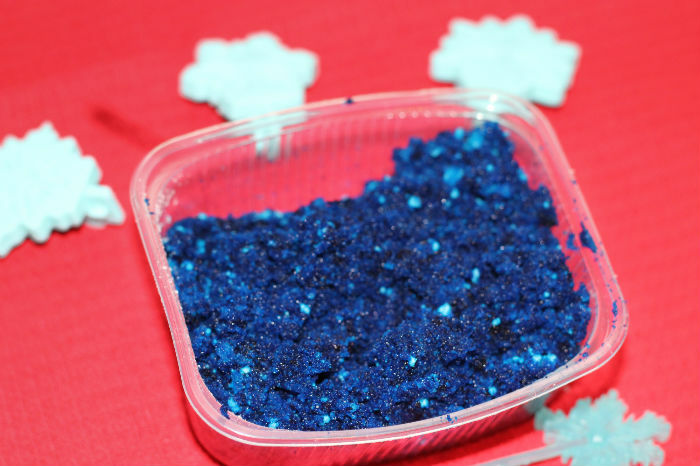 As a result, our blue snow came out quite dark blue! Still it was great fun to experiment with the colour. If you do add too much food colouring like me, just be careful as it can them stain hands when using it for sensory play. 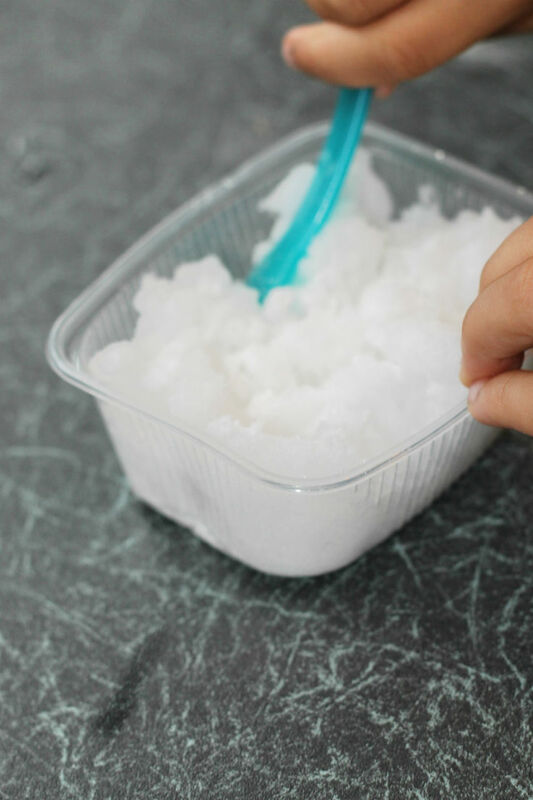 For a sensory bin I would recommend either leave plain white, or add just a little colour and check whether it’s coming off onto hands before adding any more. 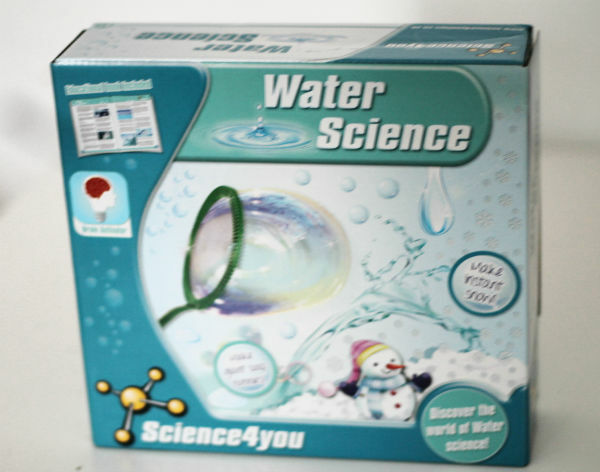 This water science kit is available on Amazon for 14.99 (affiliate) and is packed full of ideas to try at home. If you want to do more science with the kids, but don’t know what project to try or don’t have all the materials to hand these kits are ideal as everything is there in one place. I love the idea of it. We found the kit so easy to use and convenient. It’s great that it introduced us to new ideas like this artificial snow. 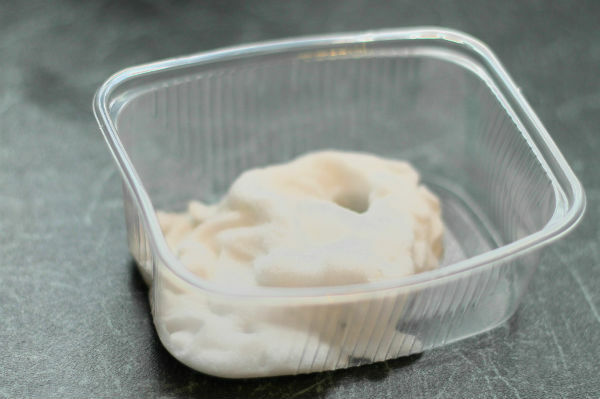 We also have the Slimy Factory : Slippery Slugs kit from Science 4 You and will share an experiment from that kit soon! I love the great range of educational products available from Science 4 You, they also have construction activities and quizzes, alongside lots and lots more science experiment packs! The kits we have tried are suitable for age 6+ and I think that is about right. Mr Z is 6 years old and just started year 2. He is becoming very interested in science and doing these types of activities at home can only fuel that enthusiasm and interest which has to be a great thing. For slightly older children they would be able to manage these experiments all by themselves which I can imagine would be a great sense of achievement to read and follow the instructions and then come out with something very cool. I would definitely recommend giving the kits a try. If you try making some articificial snow, let me know how you get on! This looks fun! Pinning it! Thanks for sharing it! Fun! We were at Disney World recently and they had a big “snow” arena that the kids *loved* playing in…I bet they’d love to make more at home too! I love this artificial snow. I use it to make a Winter scene for my Winter LEGO houses and it stays wet for about a week or so before it starts drying out, but you can just add more water. I think it does feel cold to the touch – even though you know it isn’t!